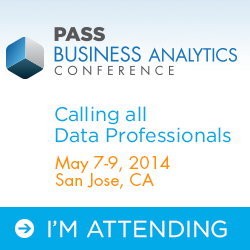 I will be attending the PASS BA Conference in May. I went last year in Chicago and enjoyed the content. It looks like this year will be even better based on the list of sessions.